In 2013, Kathryn Pisco and her husband Mike left their corporate jobs and decided to take a trip of a lifetime in an attempt to unearth and discover the world. Over the next 250 days, the pair traveled to over 20 countries and volunteered at 5 different volunteer projects. It was during their volunteer experiences that they learned the ins and outs of volunteering abroad. Although their time volunteering was meaningful, they were surprised to see how broken the system was. A lot of projects charged tons of money for volunteers, were not exactly beneficial to the host community, and were not sustainable. The couple returned home and realized that they had to share their knowledge and experience of what they learned. In 2014, they launched their social enterprise Unearth the World, an international volunteer organization that strives to improve the international volunteering industry by promoting cross-cultural learning, fostering reciprocal partnerships and elevating social consciousness through responsible international programs. Today they work with 6 non-profit partners in Peru, Nicaragua, Mexico, Guatemala and Zambia which they have personally visited to ensure that each volunteer experience benefits the local community and provides sustainable change. Since they founded Unearth the World, 200 people have already dedicated 3,500+ hours of service over the past two years in collaboration with their six international nonprofit partners. I first met Kathryn at the Women in Travel Summit in April and instantly connected. She is a mom like me and has a passion for sustainable travel and a zest for life. I knew I wanted to feature Unearth the World on my blog so I set up a phone interview to learn more. Here is a transcript of our conversation. Me: What did you and your husband do for work in Chicago before setting off on your epic travel adventure? Had you ever traveled before? How did you pick your countries and volunteer projects? Kathryn: Mike and I were both in sales for medical companies prior to traveling the world. While we had done quite a bit of personal travel in the past, it was more traditional tourism. We would maximize our allotted vacation time each year but that was the extent of our travel. Prior to our professional careers, I did a traditional study abroad program in Paris and Mike spent a summer living/volunteering in Nicaragua. Mike’s Nicaragua experience inspired us to volunteer on our epic adventure. When choosing where to travel, we prioritized regions that were far away and – therefore – challenging to get to on a typical 7 – 10 day vacation. We also sought out countries that were relatively secure and affordable. Once we had outlined our 20-country itinerary we tried to spread our volunteer projects evenly throughout the trip. Our idea was to have a few weeks of personal travel and then a few weeks of volunteering. It ended up working out quite well! We did a lot of research on where we should volunteer but found it really challenging to understand what organizations were legit based upon online research alone. Me: Tell me a little bit more about the five different volunteer projects you did. What did you learn about the world of international volunteering? Kathryn: We taught English in Kathmandu, Nepal, worked at Children’s Homes in Chiang Mai, Thailand and Phnom Penh Cambodia, taught at a school in Ofaakor, Ghana and built homes in Mwandi, Zambia. Through these experiences we learned how important it is to ensure that you have the proper skills to engage in each project. I have adopted the belief that if you are not qualified to do something in your hometown – why would you be qualified to do it abroad? We realized that so many of our projects were well-intentioned but not truly as helpful as they could have been. There was such a disconnect between the true needs of the community and the projects that were designed to appeal to volunteers. We heard horror stories about schools that were built and torn down each year with the sole purpose of attracting and making money off of international volunteers. We also experienced some great things! In Zambia for instance, the organization is 100% locally run and the entire community is engaged in the mission. 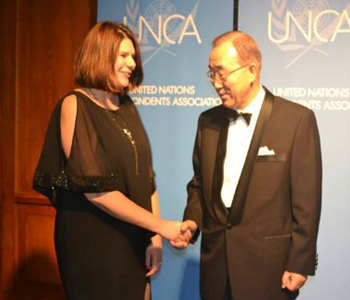 Mike and I worked alongside local people and learned from them every step of the way. Finally, we saw how incredible cross-cultural exchange can be for both volunteers and local communities. We built authentic and lasting relationships at many of our projects and are still in touch with people from all around the world. Me: How did traveling and in particular volunteering abroad change you? Kathryn: In so many ways! I entered the trip thinking that – as a 30 year old woman – my values, personality and worldview were pretty set. On the trip I learned how to thrive outside of my comfort zone. I became a better communicator, leader, and person. I also realized that I have so much to learn from people of different cultures. Me: Why did you decide to launch Unearth the World? Kathryn: As I mentioned earlier, our five volunteer projects varied greatly in intentionality and impact and illustrated the pros and cons of volunteering abroad. We learned that there are many problems in the current multi-billion dollar volunteer travel space: a lack of financial transparency, an absence of meaningful volunteer training, and a shortage of community driven projects. So, we returned from our trip inspired to create our own social venture – Unearth the World – that strives to improve the volunteer travel industry by promoting cross-cultural learning, fostering reciprocal partnerships and elevating social consciousness through responsible volunteer exchange programs. We founded Unearth the World to make volunteer travel more transparent, accessible and positively impactful. Me: Where did you come up with the name? Kathryn: Unearth the World was actually the name of our travel blog during our nine month trip. We thought it really encompassed what we were trying to accomplish on our journey. We sought to unearth – or discover – the world around us in a meaningful way. We decided to give our business the same name because we believe that international service and cross-cultural exchange is a great way to understand the world around us. Me: What makes you different from other volunteer organizations? Kathryn: We saw that the industry lacked financial transparency and affordability with many projects costing several thousand dollars for just one week. We also saw a lack of community driven projects. Instead, we saw many volunteer opportunities that were created with the purpose of bringing in tourists rather than actually addressing a true need in the community. Additionally, we saw that many of the volunteer sending organizations fail to train and educate their travelers before and after their trip leading to uninformed and unqualified volunteers. These problems in the industry saddened us greatly. UTW’s innovative model addresses the problems in the volunteer travel market in three ways: transparency, reciprocity and volunteer preparation. Me: What has been the most powerful experience you have experienced with Unearth the World? Kathryn: That is a tough question. I am always impressed by the transformative effects of our programs. I have seen the biggest impacts on people who have not had previous international experiences. For instance, we recently had a student from Cornell University join a group trip to Nicaragua. He had never been out of the country before. His experience volunteering in Nicaragua sparked something in him. He immediately booked a second trip – this time to Zambia – to continue to engage with the world. Upon returning to school, he is considering shifting his major to something more focused on social impact and he has begun to volunteer in his local community. Another great story is from one of our Advisory Board members – Amy. She took her two daughters to Nicaragua as a way of exposing them to different cultures. A memorable moment from their program was when one of her daughters turned to her and said “Mommy, I want to do really well in school so I can continue to travel and learn about the world.”. Amy was so inspired that she joined our board. Me: What kind of advice can you give someone who wants to try volunteering abroad? Do your research and ask tons of questions. Make sure that you have a true understanding of the impact on the community and planet that your trip is having. To learn more about volunteering with Unearth the World, please visit their projects page to learn more about our opportunities. Have you ever volunteered abroad? This has been an original post by Nicole Melancon of Thirdeyemom in the USA. 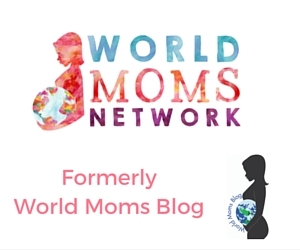 Additional posts by Nicole on World Moms Network. From September 21st-23rd, 2017 World Moms Network will be at the International Travel Bloggers Summit on Study Abroad and Global Citizenship using social media to engage more students and people to study abroad! Follow the Summit at hashtag, #studyabroadbecause. « SRI LANKA: What do You do When you Chose the Wrong School? This program looks well thought out and amazing! I like that they are talking to local communities to be more efficient.